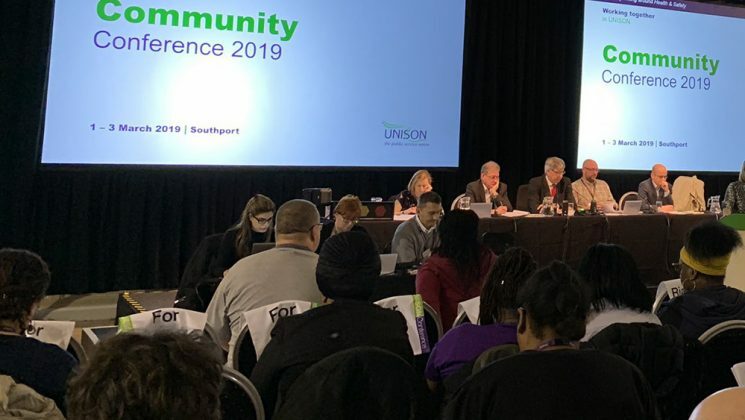 Bargaining for good mental health policies was firmly at the top of the agenda when UNISON’s community service group conference as it got down to business in Southport this afternoon. Moving the afternoon’s first motion, Jean Fowler of the national disabled members’ committee, told delegates that many employers in the sector would tell you that “our greatest asset is our staff”. So they need policies to protect those assets and keep staff at work, she added. And that is the case when it comes to physical injuries or illnesses, but “mental health issues can’t be seen. 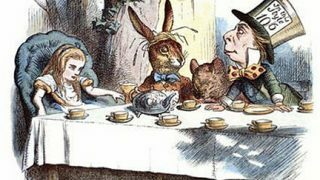 But one reason mental health can’t be seen is a reluctance to tell employers. In a recent survey, 38% said they would not disclose their mental health status to their employer either because of potential consequences or because they felt the employer would not be supportive. “In 2019, no worker should be hiding their mental health status because of stigma or from fear the employer would not support them,” declared Carla Williams of the service group executive. London delegate Lola Oyewusi issued a rallying call to everyone in hall: “When you go back to your workplaces, get on board and talk to your HR department. 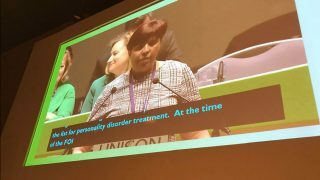 To help branches do that, conference called for practical steps including publicising UNISON’s guidance on the subject, spreading examples of best practice across branches with members in the sector, and using the union’s work on mental health as a recruiting tool to engage new members. 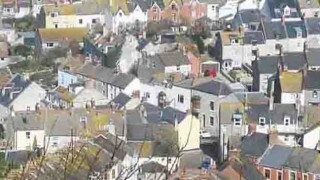 And to provide practical support to members, conference also called on the union to carry out a survey of mental health services available in members’ areas and create a directory of local services available to members by region. On a wider issue, conference agreed that Health and safety is a real but too often neglected issue in the community, voluntary and housing sectors, with the number of accredited UNISON health and safety reps decreasing. Delegates voted for a number of steps to work with the wider union, especially regions, branches and the national health and safety committee, to recruit more health and safety reps and publicise the importance of the issue. In this section you can find out more about the key health and safety issues and our campaigns to ensure better health and safety in workplaces. UNISON represents than 60,000 members in the community and voluntary sector. We work to ensure the needs and rights of workers in this sector are recognised and defended. 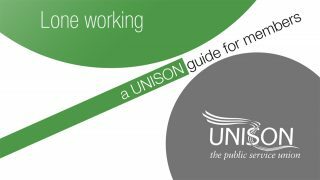 UNISON believes health and safety in the workplace is an issue for everyone. Every year, thousands of people suffer accidents and ill-health at work – most of which could be avoided.